This rustic pine cone ceiling fan features realistic metal pine cones and boughs in a dark mahogany finish with reversible blades in Mahogany/Pine. The Rustic Pine Cone Ceiling Fan includes a 3 bulb light diffuser, full functioned wall control and remote control with reverse. This fan can be mounted on either flat or vaulted ceiling. This rustic pine cone ceiling fan features realistic metal pine cones and boughs in a dark mahogany finish with reversible blades in Mahogany/Pine. 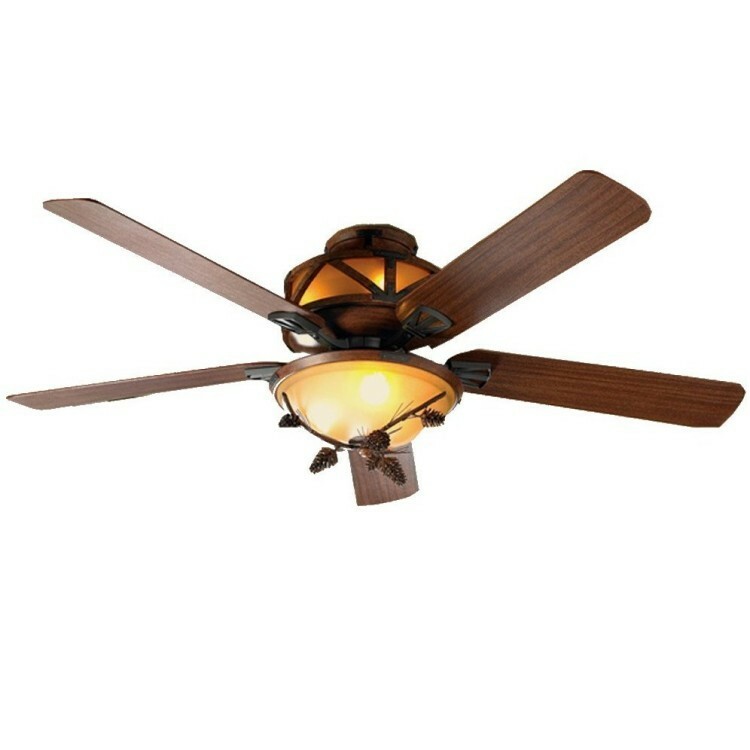 The Rustic Pine Cone Ceiling Fan includes a 3 bulb light diffuser, full functioned wall control and remote control with reverse. This fan can be mounted on either flat or vaulted ceiling. Our pine cone ceiling fan measures 60" W x 28" H (including pine cone art and 6" down rod). Include a 6" down rod, if a longer down rod is needed please contact our customer service department. This ceiling fan uses three 40 watt bulbs and four 15 watt bulbs. (Light bulbs are not included).